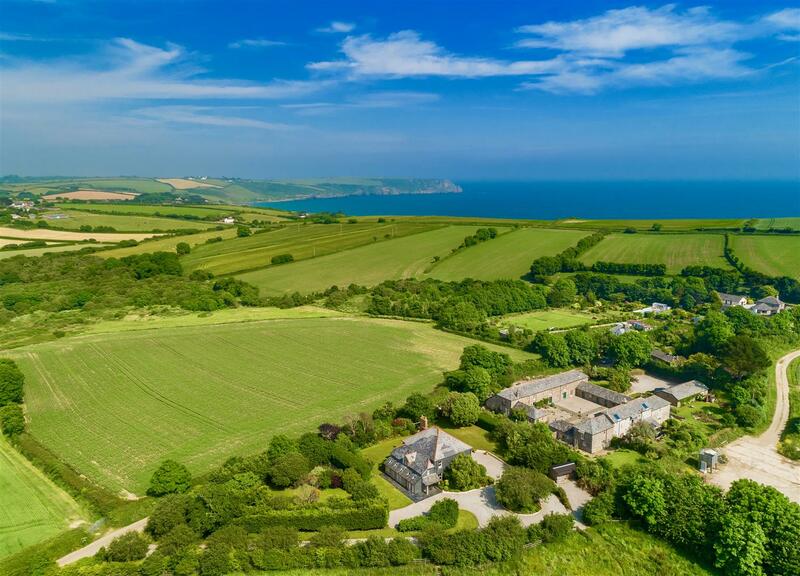 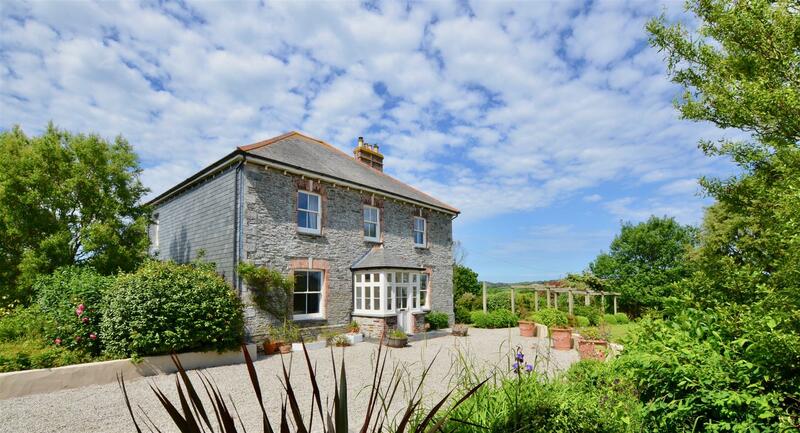 Spectacularly situated coastal farmhouse located just 1 mile from the magnificent Pendower beach. 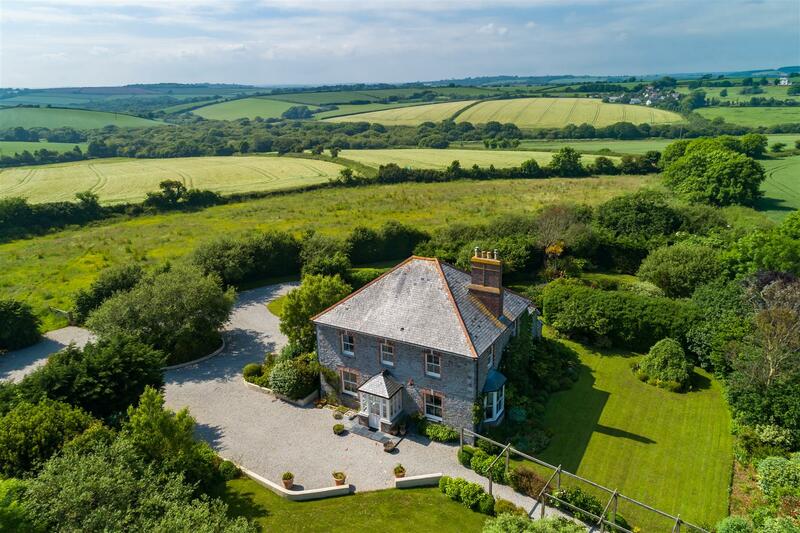 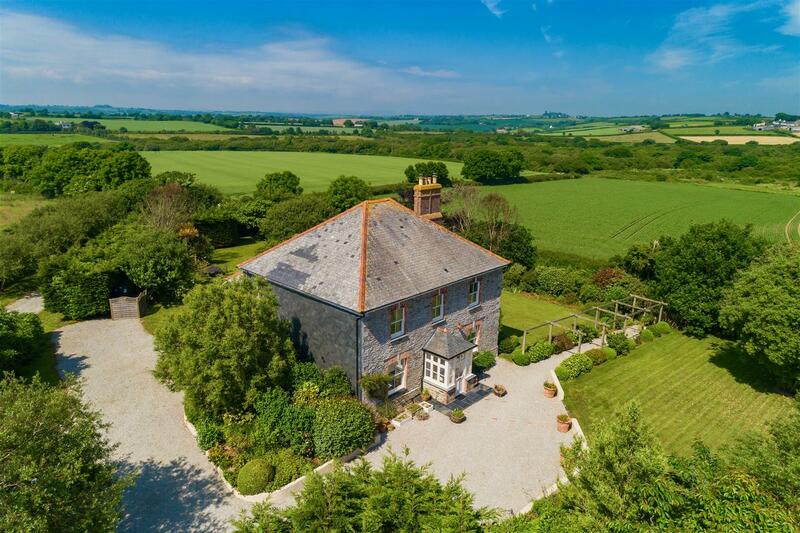 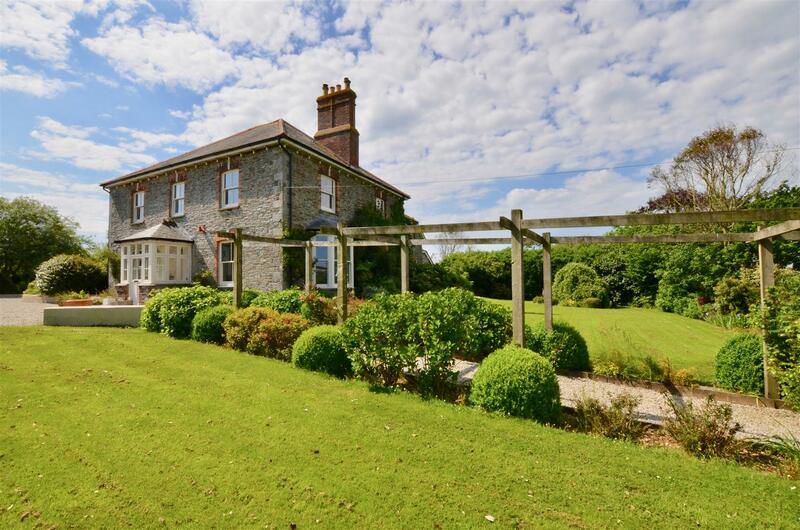 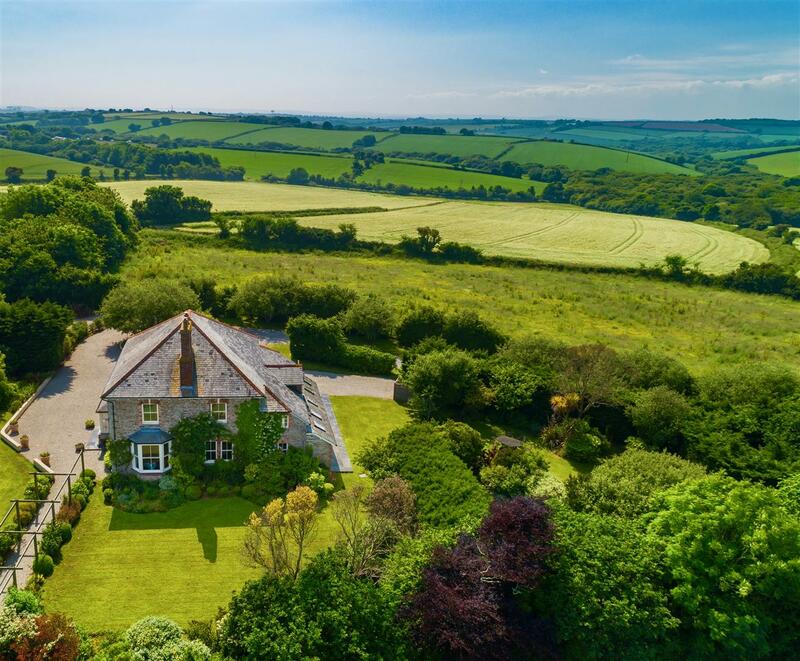 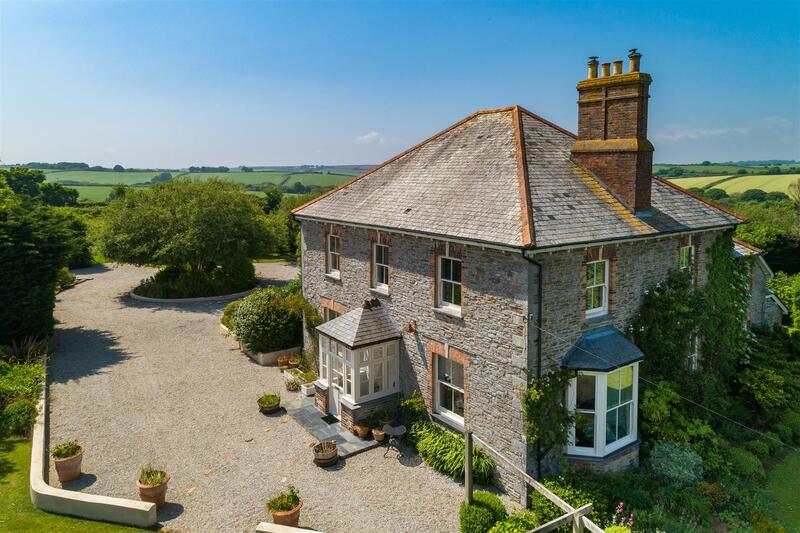 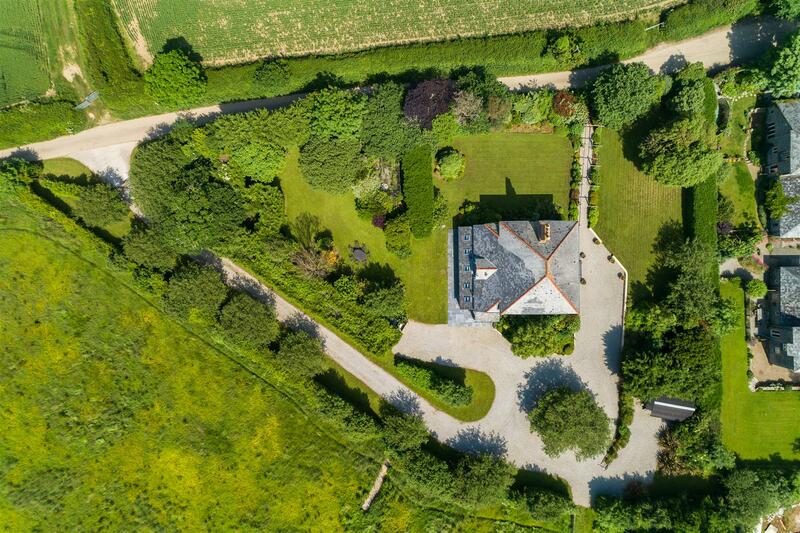 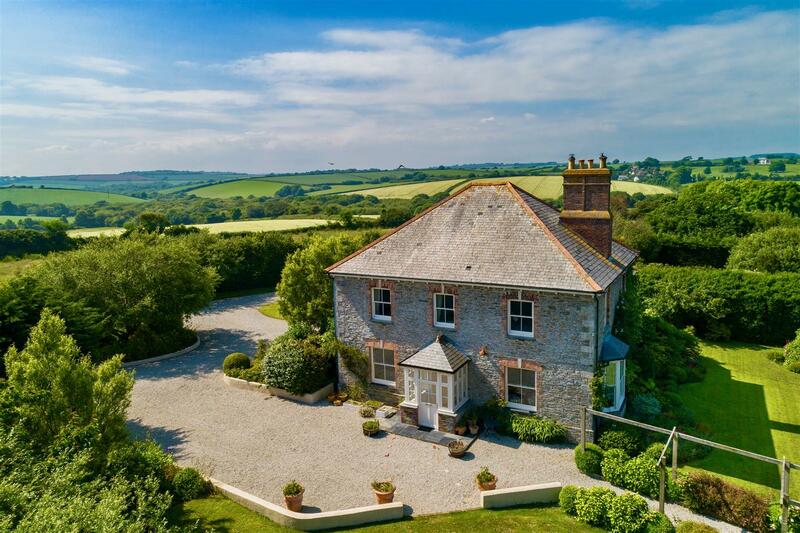 This gorgeous property is beautifully presented throughout and offers the exceptionally sought-after combination of a traditional exterior with a tastefully updated interior and all set within beautiful private gardens, with a further paddock and all just moments from the coast. 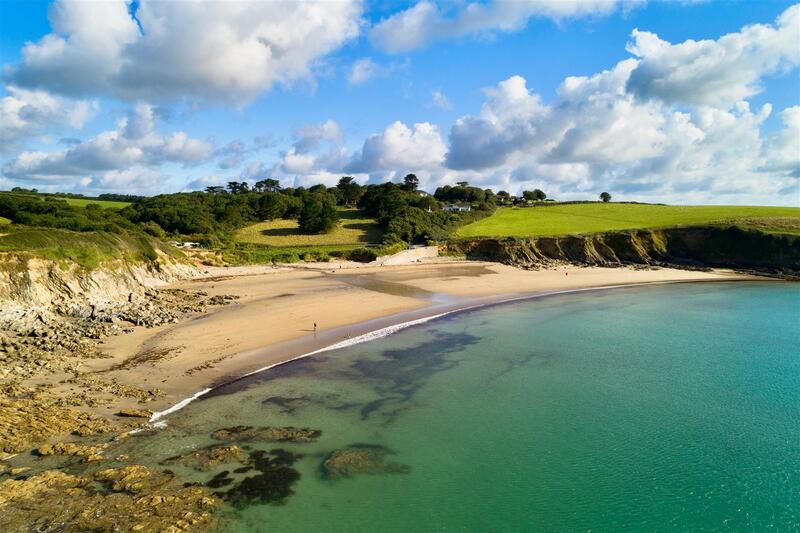 Just one mile from Treluggan is the magnificent beach at Pendower, forming a large section of the spectacular Gerrans Bay which starts at Greeb Point to the south and then taking in Portsccatho and Pendower, Carne Beach and then finishing at the Nare Hotel with its beautiful views to the headland. 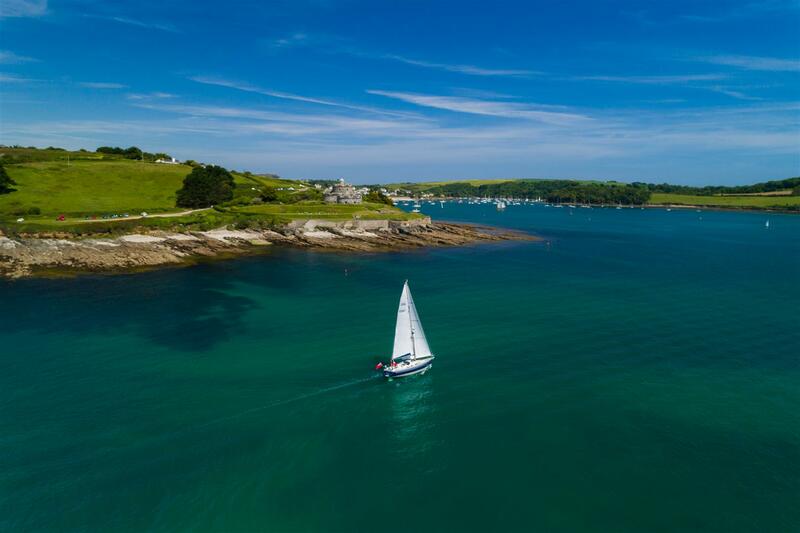 Treluggan is an exceptionally pretty coastal hamlet set within the highly sought after Roseland Peninsula, a most beautiful peninsula located on the south Cornwall coast, flanked by the magnificent Carrick Roads sailing waters on its western side and numerous beautiful bays and beaches on its southerly side. 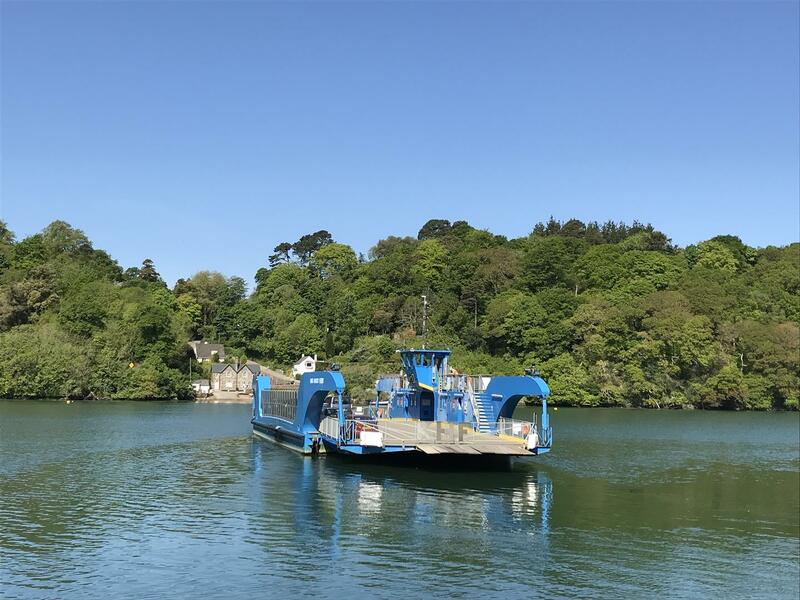 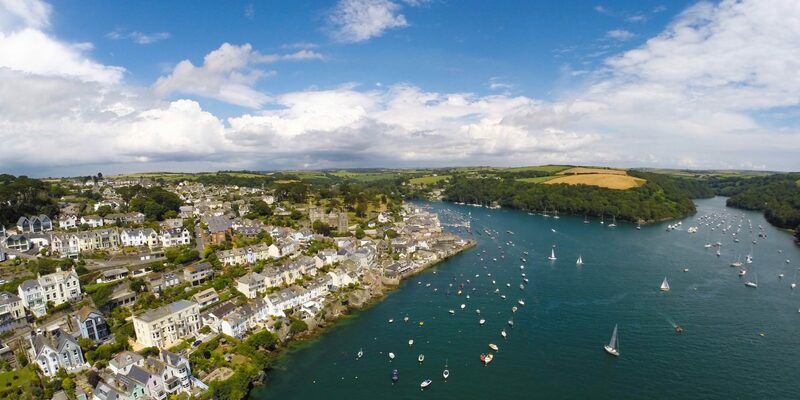 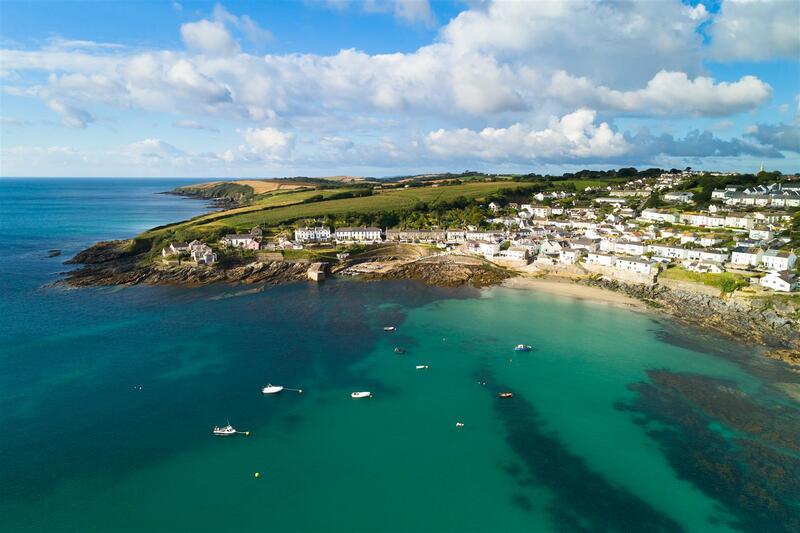 Just over 5 miles drive further down the Roseland from Treluggan, the peninsula culminates at the exclusive waterside village of St Mawes. 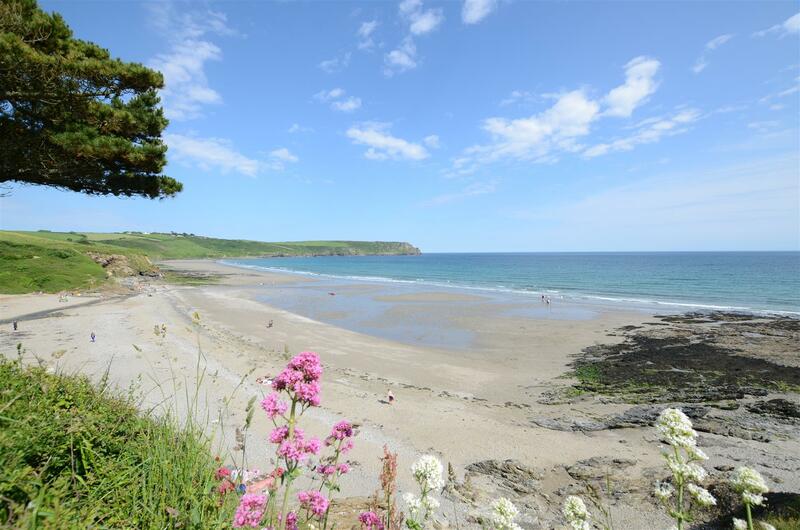 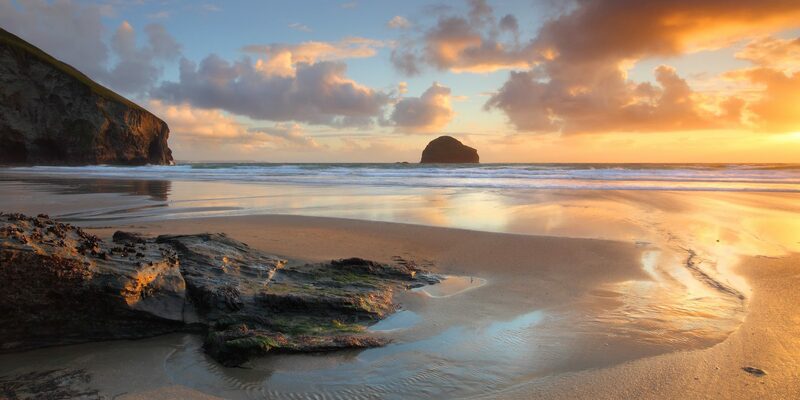 One of South Cornwall’s longest and most beautiful stretches of sandy beach reaches right the way across to Carne. 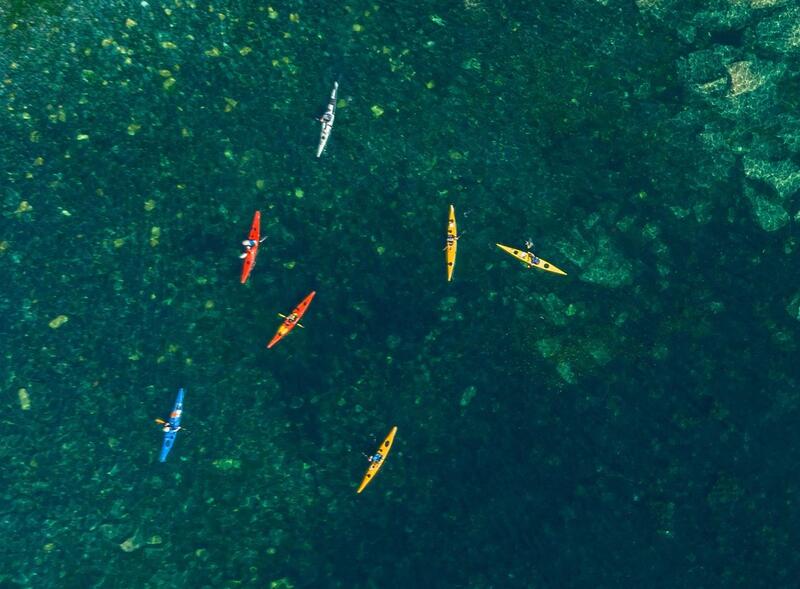 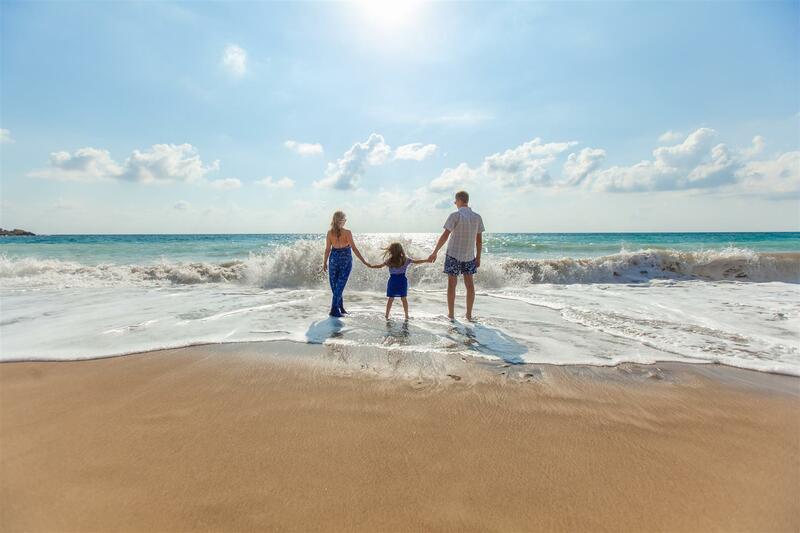 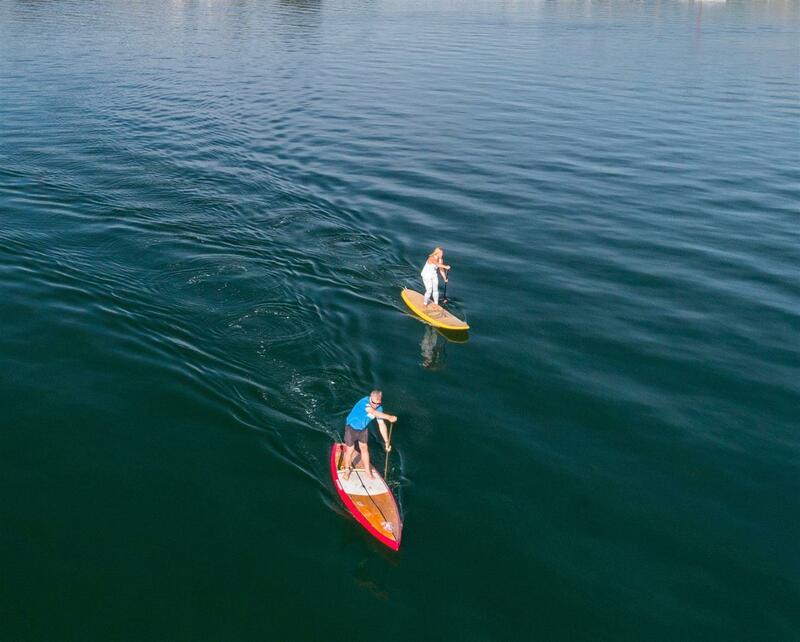 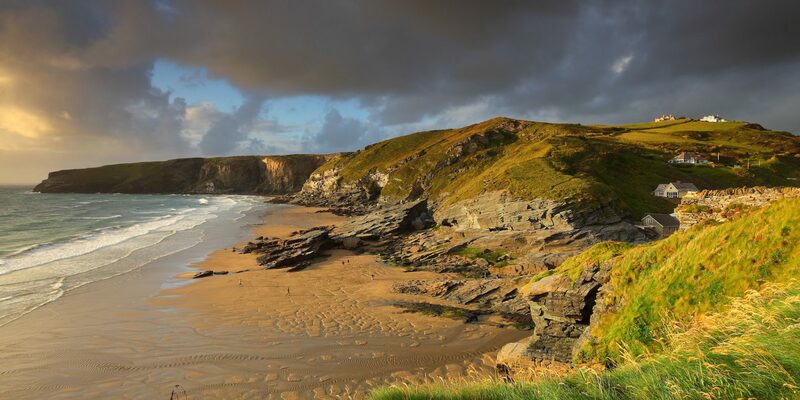 The beach is the perfect location for a family day out with many wonderful coastal walks in the area along the South West Coastal Path, as well as options for swimming, kayaking, sailing or fishing. 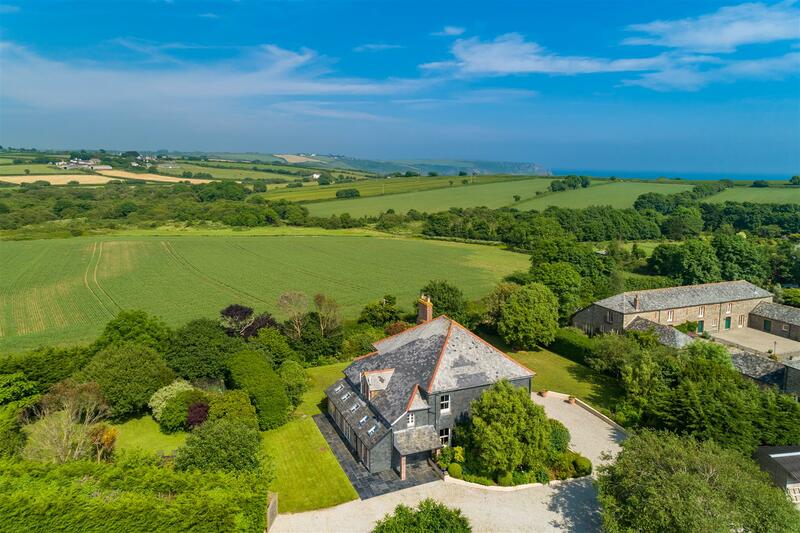 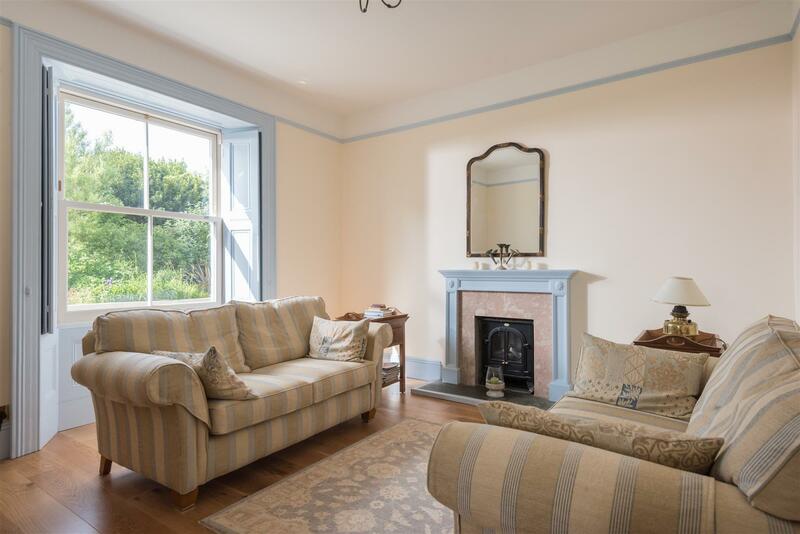 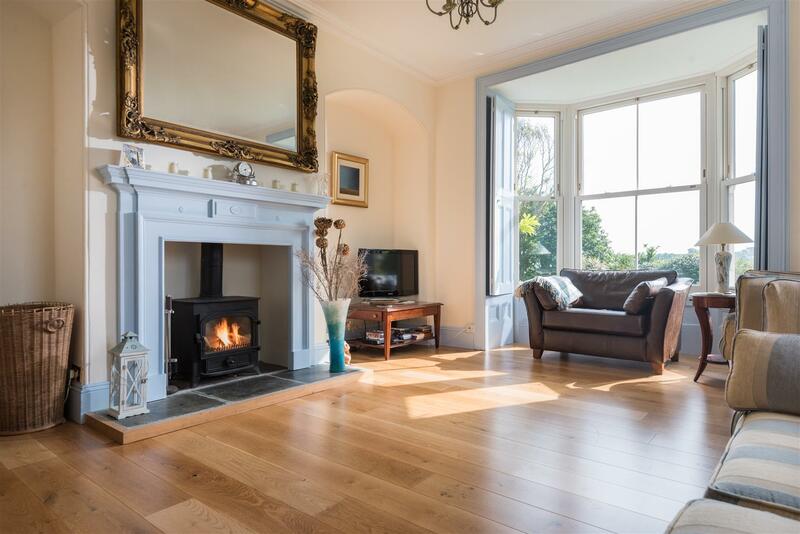 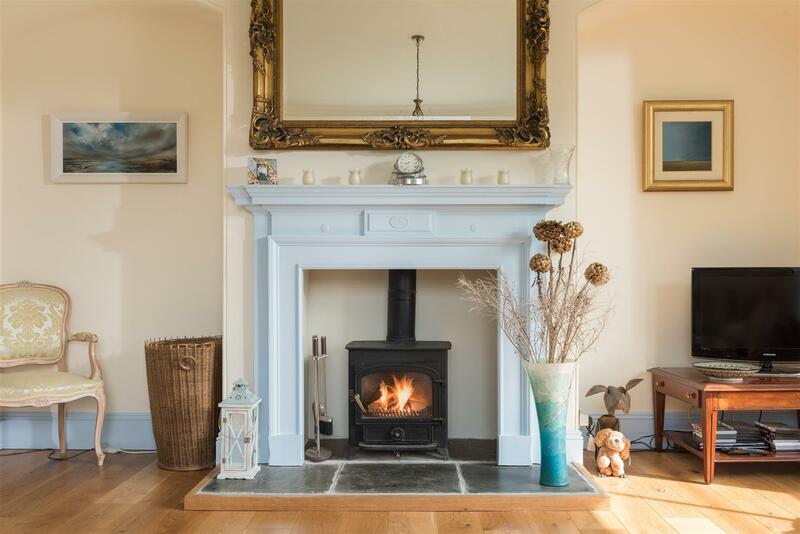 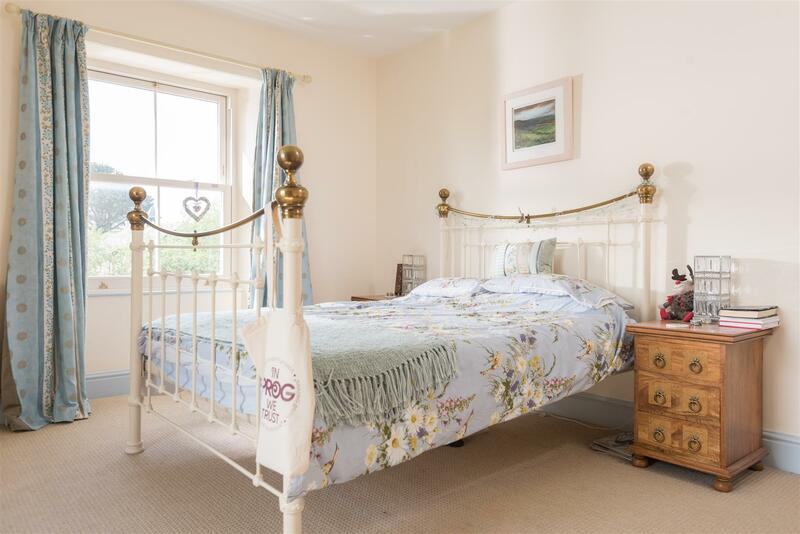 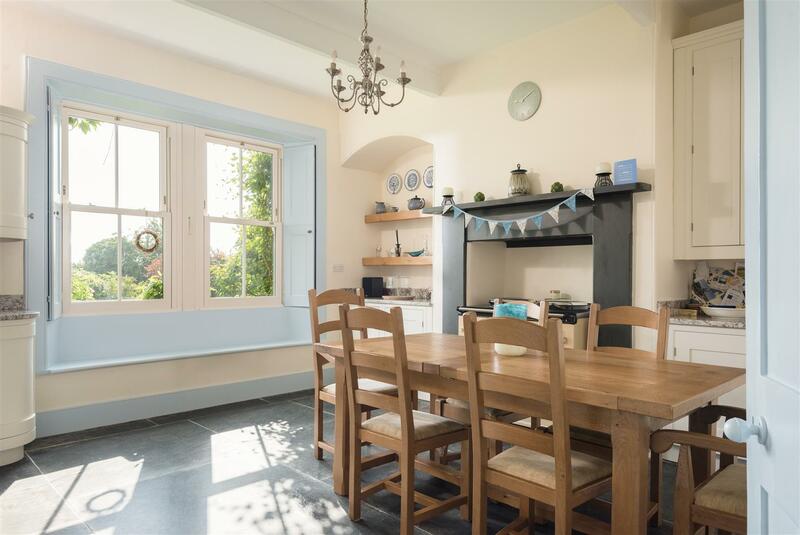 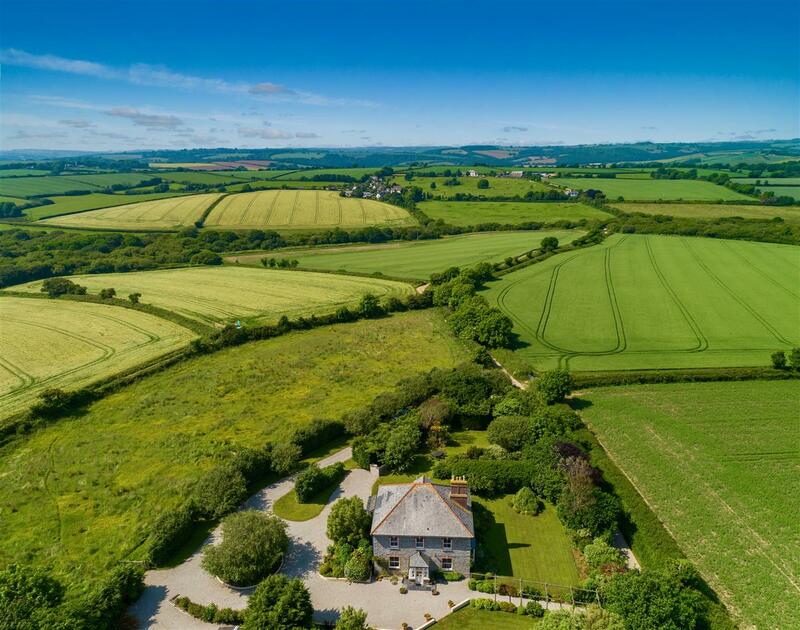 Treluggan is a fabulous former farmhouse which has been beautifully upgraded to create the most wonderful property, ideal for families and holidays alike. 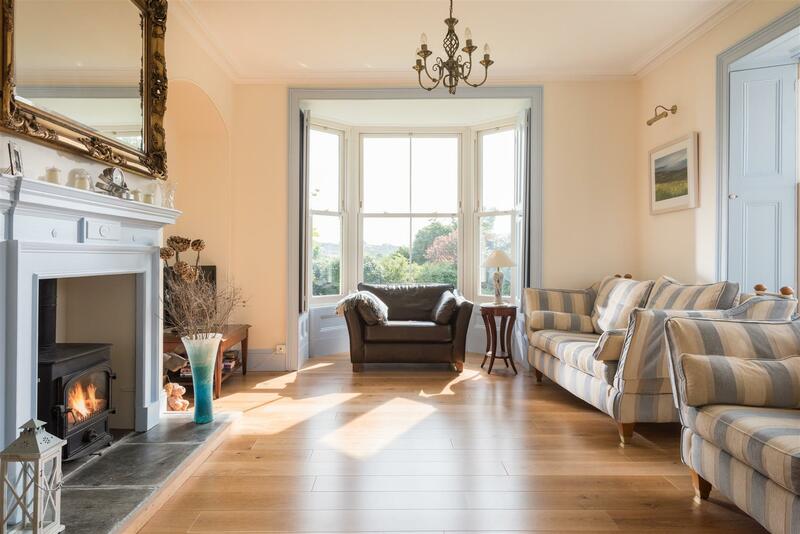 The entrance leads through to a broad hallway with a beautiful sitting room having a lovely wooden floor and a bay window on one side and a drawing room to the rear, perfect for teenagers potentially as a gaming room. 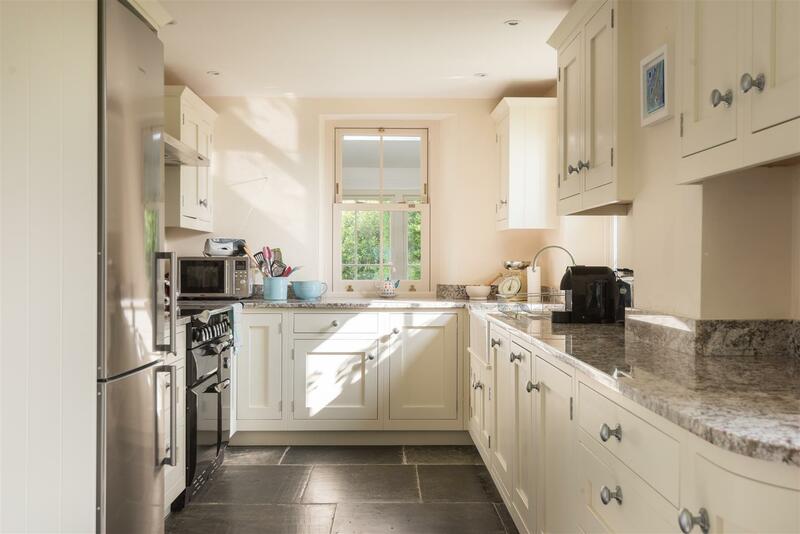 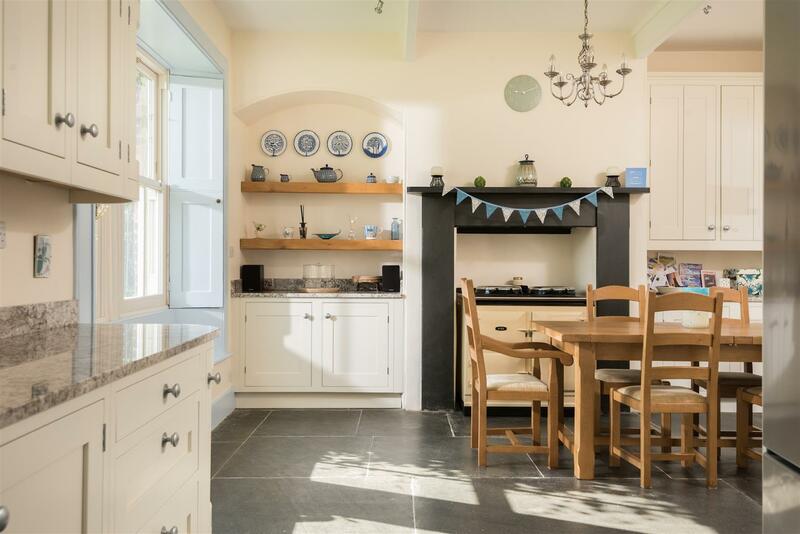 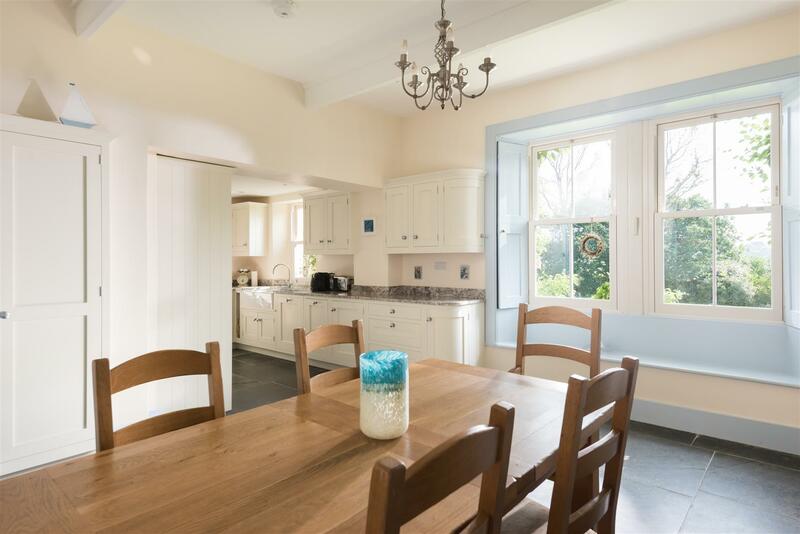 The kitchen is simply superb with a window seat and Aga as well as a further range cooker for those that prefer this method of cooking and finished with traditional flagstone flooring. 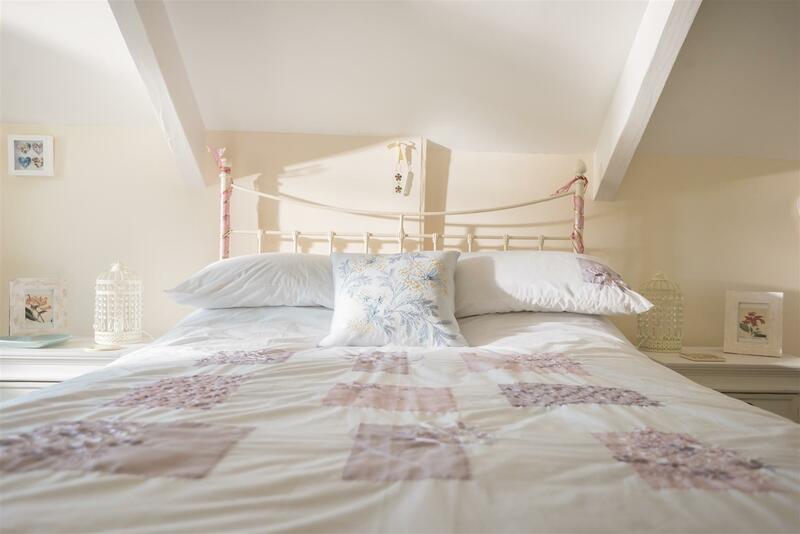 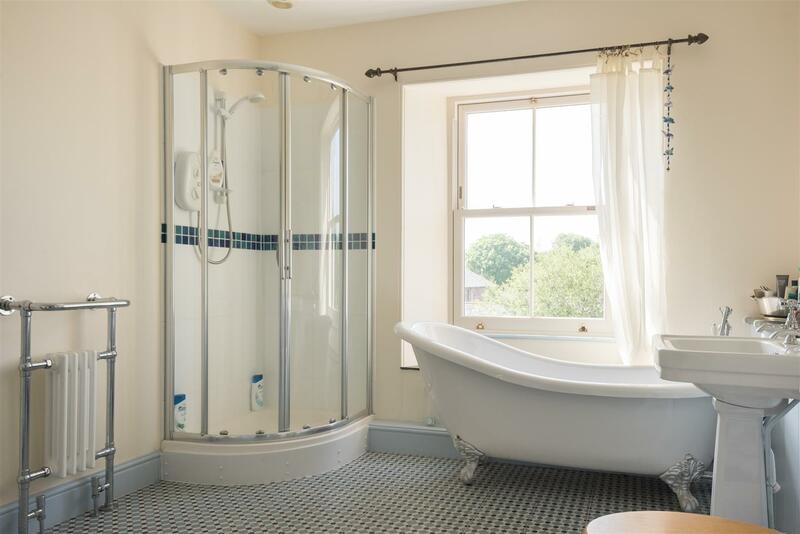 The boot room could alternatively create a wonderful office for those that want to work from home and there is even a ground floor shower room, ideal after a day out on the beach. 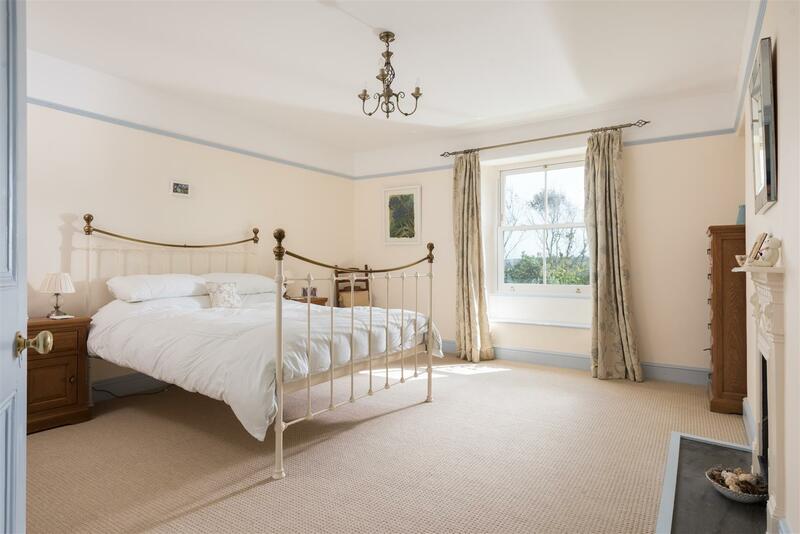 The bedrooms are equally impressive with five beautiful and quite individual rooms and three first floor bathrooms. 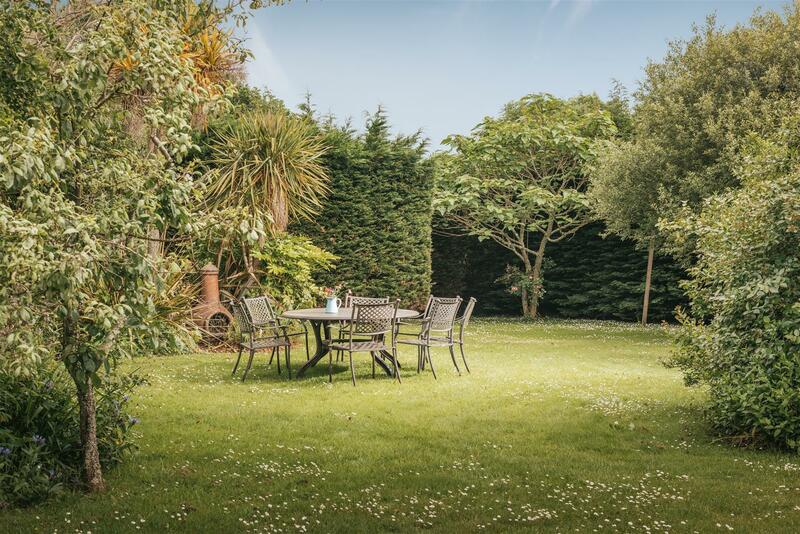 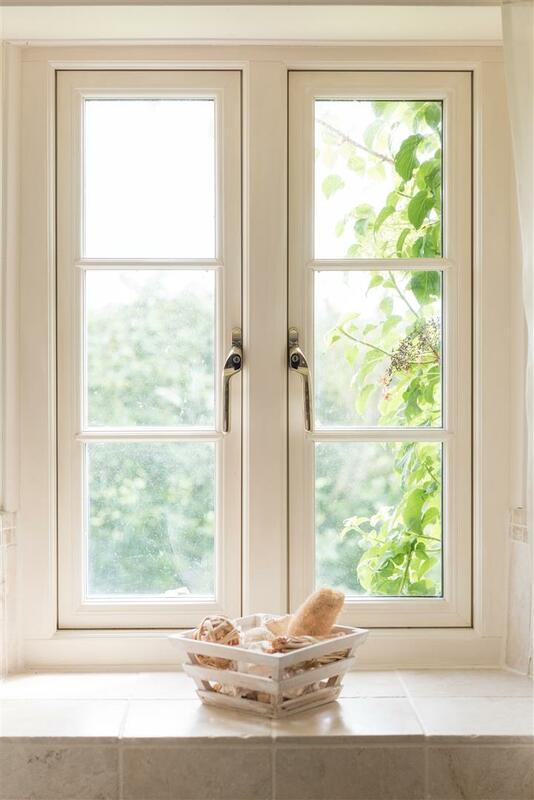 The grounds are beautifully presented and offer two main lawns to relax and soak up the sun. 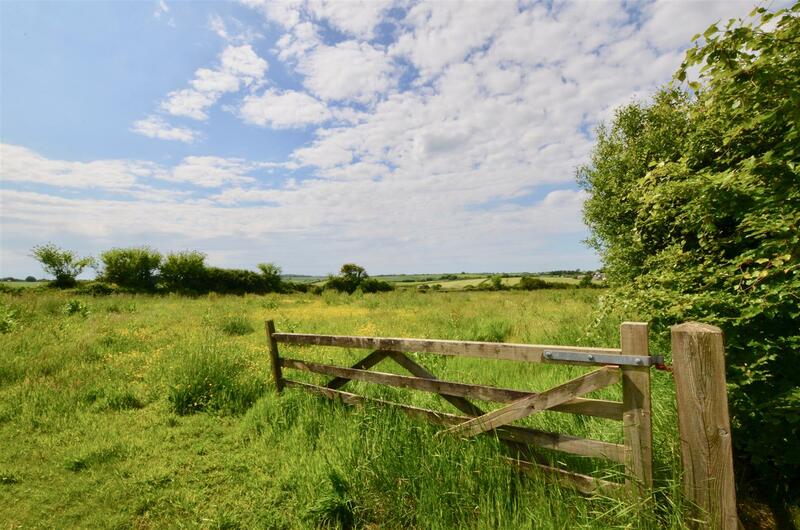 There is a useful store shed ideal for beach and boating paraphernalia and there is even a paddock if one wanted to keep a pony or livestock.